A naming ceremony took place in Malta last week for a ASD 2913 tug built by the Dutch shipbuilder Damen. 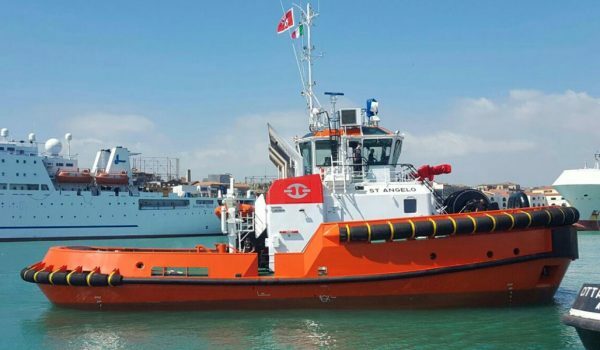 The tug is named St. Angelo and will provide port towage services and environmental assistance, and will also be able to serve Malta’s LNG needs by safely operating at Delimara LNG terminal, according to a Damen statement. The tug has been equipped with a gas protection system, double drum render recovery winch, firefighting system and oil recovery capabilities. As the head supplier of the Quick Release Towing Hooks to Damen, Mampaey Offshore Industries also supplied the Towing Hook to the St. Angelo. We supplied a Disc Type Quick Release Towing Hook (DCX 70/100) with a Safe Working Load of 100 ton and with a Hydraulic Cylinder. The Quick Release Disc Type Towing Hook is especially designed for towing with polyprop wires and so towing lines can be released manually or remote controlled by means of pneumatic or hydraulic assistance. The benefit of the Disc Type Towing Hook is designed for a minimal total cost of ownership and with a long economic life cycle. Minimum maintenance is needed and the hooks are free swivelling. 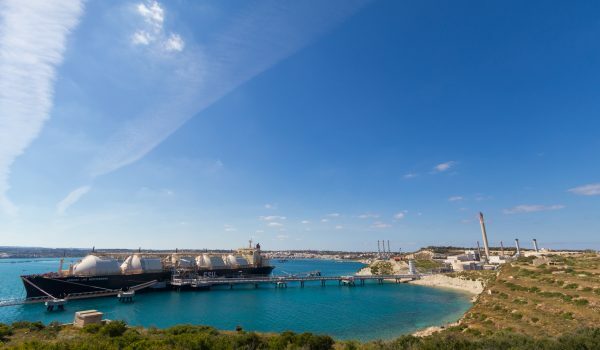 Malta started importing LNG in January 2017 via the Floating Storage Unit (FSU) Armada LNG Mediterrana located in the Marsaxlokk Bay. Earlier in 2017, Mampaey Offshore Industries has supplied Quick Release Mooring Units to both the Floating Storage Unit named Armada LNG Mediterrana and to the jetty of the Delimara Power Plant.